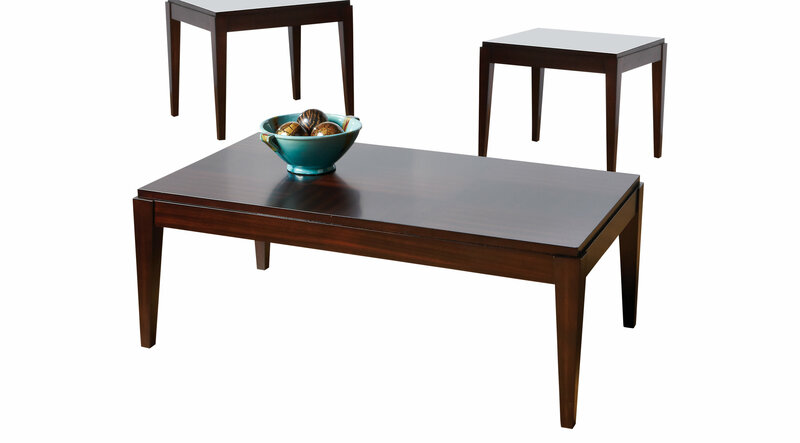 3-Piece Lansing Table Set consists of a standard coffee table with two end tables, finished in a rich cherry stain. Tapered legs add to the contemporary feel of the collection. Some assembly required.